WebRTC is a browser-based technology, and they are supported on most browsers. Pure IP’s customers are provided with code samples which allow for simple and rapid integration into existing web technologies. The customer’s website effectively becomes an intermediary, allowing customers to control which end-users can dial which numbers should they wish. The customer’s website serves some code to the end-user, which enables them to place a call via Pure IP’s global infrastructure. This global infrastructure converts these calls for interoperability with SIP and other telephony technologies. Notably, the audio path is connected between the end-user and Pure IP’s regional WebRTC service. This makes call quality independent of any factors that are related to the customer’s environment. Pure IP delivers the call to the customer’s network via SIP without requiring any changes to the customer’s phone system. 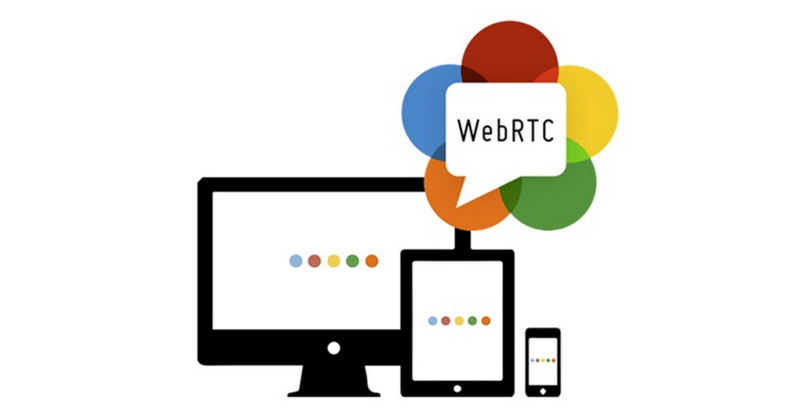 Example Scenario A) Adding WebRTC support for conferencing services. By adding WebRTC as a mechanism for conferencing, customers can eliminate the need for users to dial a traditional PSTN local or toll-free number to join a conference call. For our customers on Skype for Business, it also eliminates the requirement to connect to a Skype conference via the Skype client. Users can simply connect via a PC, mobile, or tablet to a Pure IP WebRTC session, and Pure IP will deliver that call to the customer's conference environment as a SIP call. 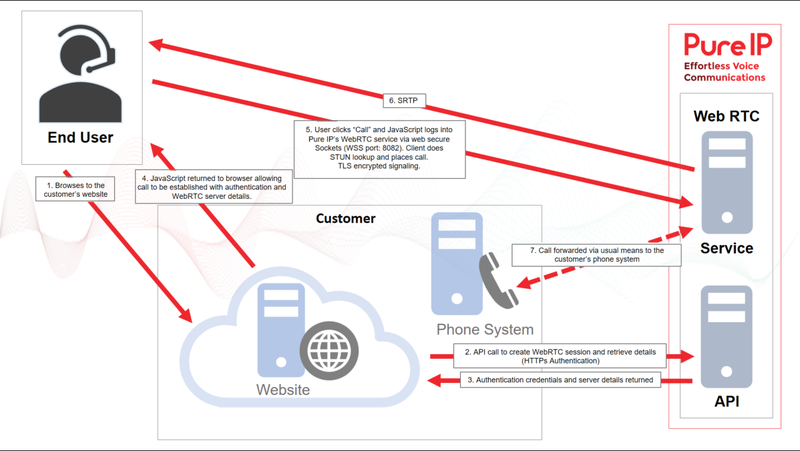 The diagram below shows the call flow and protocols. The immediate benefit is to enable a whole new channel for users to connect to a conference service. Example Scenario B) Adding WebRTC support for sales, customer services, and support. We all want to offer our customers a secure, reliable, and easy to use methods to contact us. By adding WebRTC, it turns any Internet-enabled device into a voice communication device. With Pure IP managing the WebRTC solution, the Pure IP customer will only need to establish a SIP trunk to Pure IP, or they can provide a PSTN number, and we will manage the end-to-end WebRTC call. The contact centre does not need to be replaced, upgraded, or add any functionality to enable a new communication channel. The Pure IP WebRTC service is designed to accommodate easy adoption in multiple use-cases and will support any web-based click to call services.